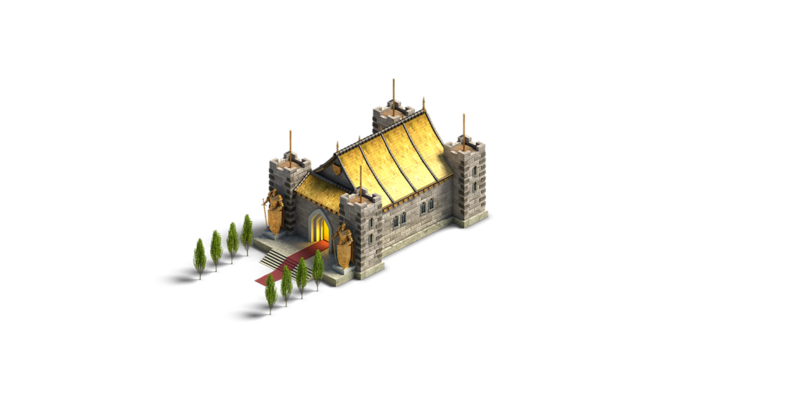 Have you ever wondered who makes the medieval buildings and brave heroes in our latest strategy title, Legends of Honor, look the way they do? Behind the scenes, creative 3D artists take responsibility for creating the game’s three-dimensional graphics. 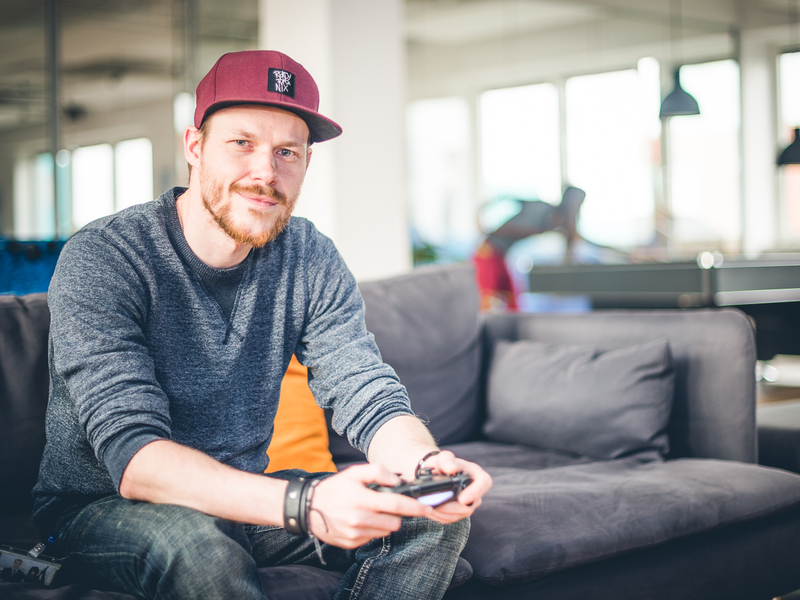 In this blog, we’ll give you some insight into their role and introduce you to one of our 3D artists, Philipp. Originally from Austria, Phillip traded in mountains for the coast two years ago to start his job here in Hamburg as a 3D artist. He currently works on the Legends of Honor team and is responsible for giving countless elements and buildings their look – from the epic hall of heroes to various other decorations; he even modeled the mighty castle walls with its grand towers and the massive city gate using the program Maya 2016. The concept artists lay the foundations for Philipp’s work. Using specifications from the game designers, the concept artists create so-called “thumbnail sketches” – this refers to creating rough sketches of as many different variations of a planned building as possible in a short time. The two to three best concept designs are then passed on to the 3D artists. This is where Philipp’s work starts: he takes the sketches and creates the first “blockouts” of the buildings. These blockouts are rough 3D models composed of basic geometric shapes. Lighting and shading are also simulated at this stage as well. Once the blockouts are complete, they can be used to create different versions and upgrade levels in only three to four hours. 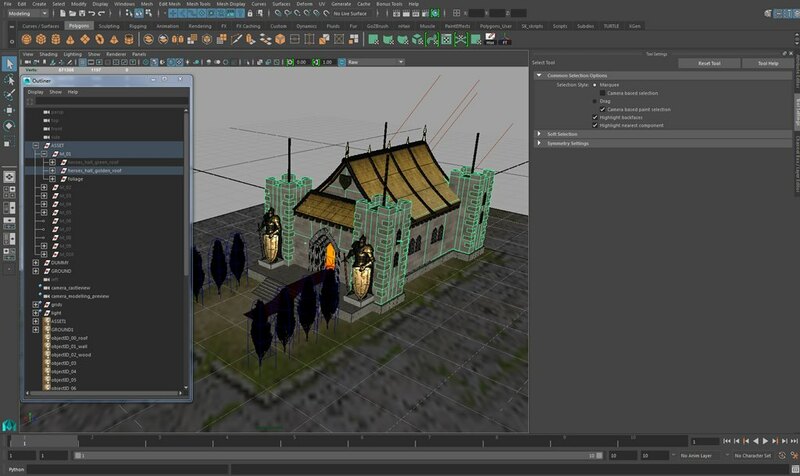 “We use the blockouts to test if the sketched buildings will work as 3D models. In this phase, we find out if there’s still a need to change perspectives, size ratios, or other elements, and then we get the concept designs adjusted,” explained Philipp. If the team is satisfied with a blockout model, the concept artists custom-make an even more detailed drawing of the element, which is then used as the basis for production. This takes place in sprints, i.e. two to three week development cycles. At the beginning of the sprint, the 3D artists distribute the responsibilities for the 3D models to be implemented among themselves. You can see in the picture how it looks as they work on the hall of heroes. The building is expanded polygon by polygon – in this way, the surfaces and shapes that form the building increase in number and definition. 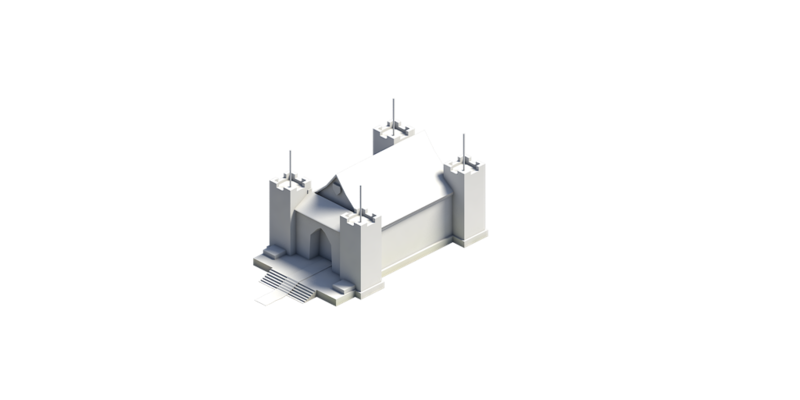 The 3D model gets its color and structure from textures, such as tiled roof or stone wall patterns created in Photoshop. These graphics envelop the building’s surfaces. When the artists are done, the program takes care of the after effects by correcting the colors for an optimal final touch. 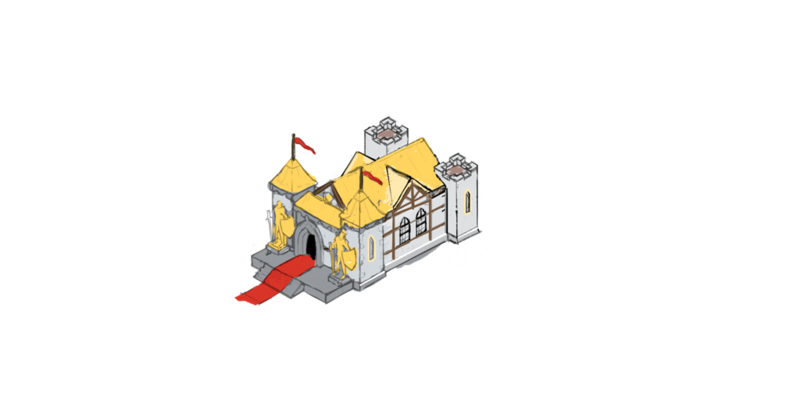 If Philipp is satisfied with the end result and the graphic is approved, the graphic is handed to the client developers, the programmers of the game interface, subsequently integrate this file into the game so castle lords can build and admire the new building in their city. Want to learn more about the development of Legends of Honor? Read exciting background information about the creation of the world map here! Or have you ever wondered how game designers and client developers work?